Wood Yard Bark Chip Chute with Wear Resistant Clad – FCM Products Inc. 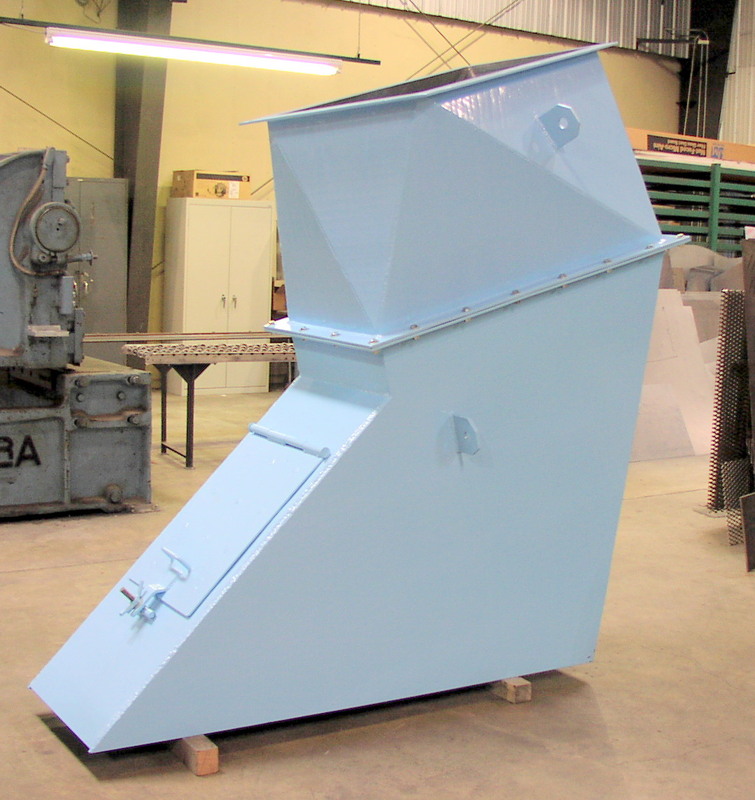 This wood yard bark chip chute was built in June 2009 for a paper mill in Ashdown, Arkansas. It is designed to strip the bark from trees. But since it is used in the elements, we built it with 1/4″ steel, then hard-clad welded on plate to make it wear-resistant. It measures 10 feet tall by 3 feet wide and 6 feet deep.